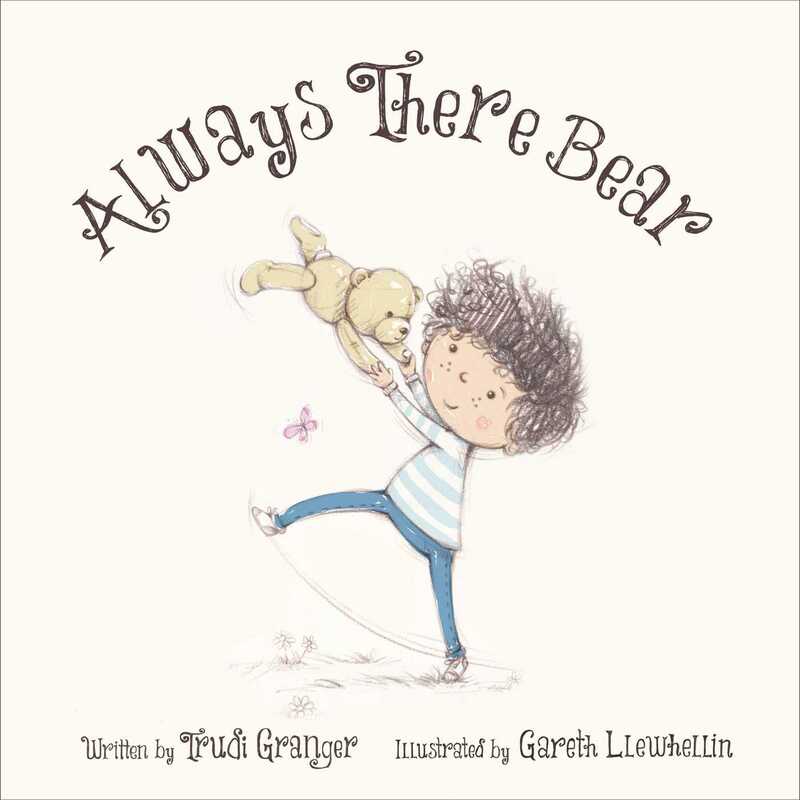 Whether you’re at the beach or hiding inside on a rainy day; whether you’re having tea with a friend or reading a book by yourself; whether you’re happy and bouncing or grumpy or sick, it’s always nice to have an always there bear. He can play with you, cuddle you, and snuggle you to sleep. He likes birthdays and trampolines and sand castles and puddles. It doesn’t matter if you’re tired or sulky or shy or scaredyou’ll never be lonely with your bear by your side. He will keep you company, he will cheer you on, and he will even make you feel braver. He always understands you, and most importantly, he promises to love you, forever and always, no matter what. This is a quiet, gentle, soothing book, wonderful for comforting little ones or preparing them for peaceful sleep. It’s a reassuring and heartwarming story of unconditional love and companionship throughout experiences of all kinds. Gareth Llewhellin’s sweet illustrations complement the text, and Trudi Granger’s beautifully written story works magic with its simplicity. For anyone who loved The Quiet Book, Always There Bear is just as special and just as perfect for quiet moments and trouble-free bedtimes.